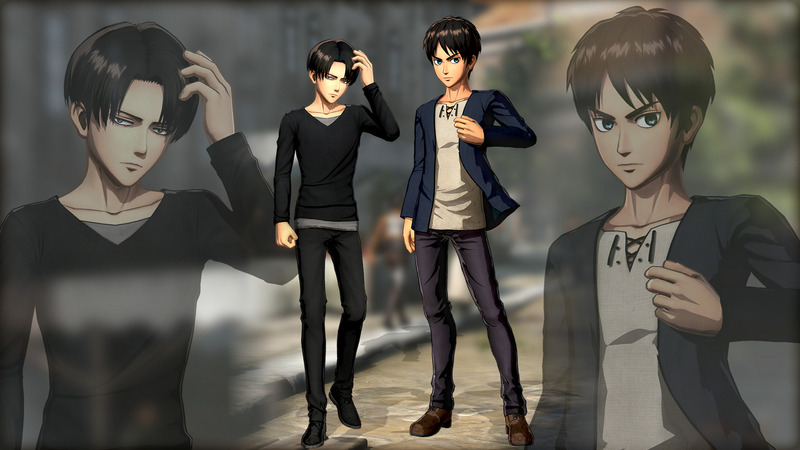 Earlier today, Koei Tecmo shared a brand new trailer for the upcoming release of Attack On Titan 2 (known in Europe as A.O.T. 2) which takes a look at the game's battle system. Much like in the original, you will take control of the omni-directional mobility gear to fight off hordes of titans by chopping off their limbs while following up with a deathblow on the back of their necks. Although many of the mechanics remain the same from the original, we do get some insight into a few new tricks. That includes the Hook Dive, which allows you to evade Titan attacks and deliver powerful finishing blows, and Sneak Attacks, where you position yourself in an enemy's blind spot to land devastating blows. If it's anything like the original, it's going to be an absolute blast flying around the battlefield. Koei Tecmo also shed some light on the pre-order bonuses players will be able to garner if they invest in the game early. 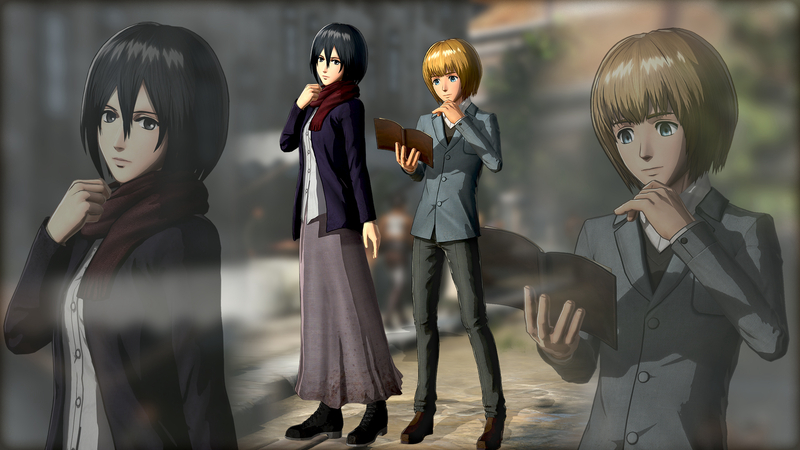 For the PlayStation 4, you'll get a pack of Plain Clothes costumes for Eren, Mikasa, Armin, Levi, Christa, and Ymir. 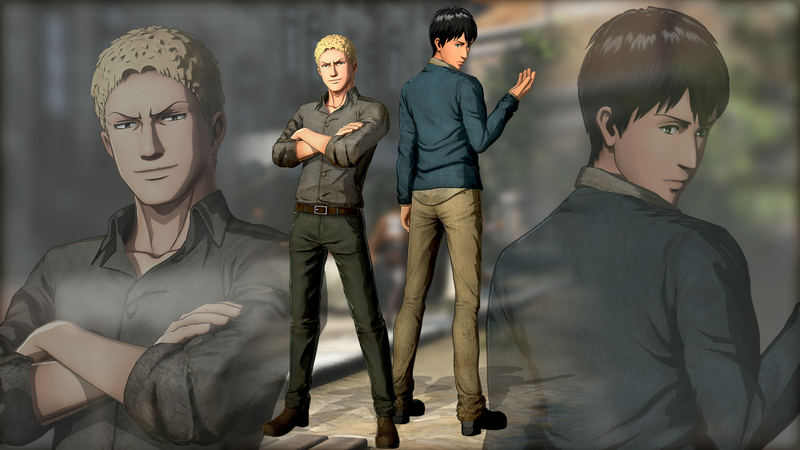 You also receive six PlayStation avatars for Mikasa, Eren, Levi, Reiner, Christa, and Erwin. 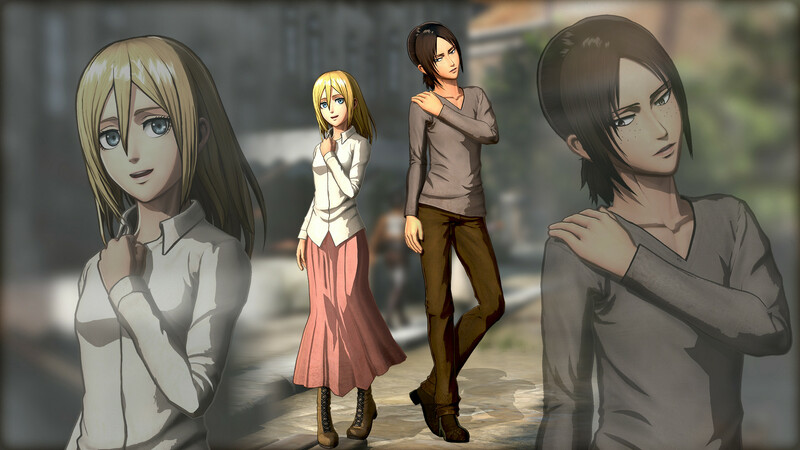 For the Nintendo Switch and Xbox One, they're a little less generous - you'll get Plain Clothes costumes for Eren, Mikasa, Armin, Levi, Christa, Ymir, Reiner, and Bertholdt. No avatars, however. Finally, lucky players in Europe can opt in for a premium collectible Steelbook featuring the dreaded Colossal and Armored Titans, and members of the heroic scout regiment in action. This will only be available through ShopTo.net and other select retailers via Centresoft. There's even a Digital Deluxe Edition if you're feeling extra spendy, which features the game along with a pack of unique costumes that will be released in waves on a weekly basis following the game's initial release in March. 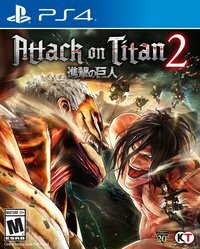 Attack On Titan 2 is set to be released on March 20 for the PlayStation 4, Xbox One, Nintendo Switch, and PC through Steam.